Because the legality of Kratom has often come into question, a lot of people are starting to use Mitragyna Javanica as an alternative. 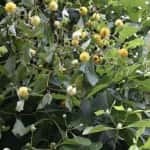 This plant is in the same family as the Mitragyna Speciosa extract, which is the same tree from which Kratom comes from. The Javanica tree is even rarer, but it has not been approved to be used as an alternative. 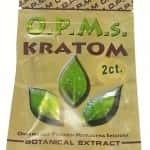 However, should it be considered an alternative use for Kratom? Should we continue testing to see if it is a viable possibility? We will need to compare its effects, availability and chemistry in order to accomplish this, but we currently have the following information. At first glance Mitragyna Javanica looks just like Mitragyna Speciosa because each tree is tall, strong and has a lot of big leaves. However, the leaves of each tree are very different indeed. There are centuries of available information about Kratom. 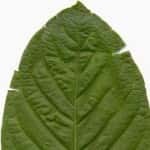 We still need to sort out this information in order to really understand what Kratom is made of and how it actually works. Right now, we know that it naturally contains plenty of alkaloid mitragynine, which is believed to be what makes it possible for Kratom to enhance your mood. This alkaloid is missing from Javanica. As an alternative, Javanica contains mitrajavine, which has alkaloids from the closed E ring. It also has a lot of 3-isoajmalicine instead of the alkaloid ajmalicine that is in Kratom. Unfortunately, this sort of thing confuses a lot of people. Not that much documentation has been done for this particular Mitragyna plant, so not that many people have studied its chemistry or applied it to anything that has directly influenced the average person. However, most people want to know if it works and whether or not it is as good as Kratom. Basically, does it provide the same benefits as Kratom? As it stands, no one has been able to prove that Javanica is better than Kratom, even though the two are somewhat related. But, in its defense, not that many people have used it, so there are not that many available testimonials. Maybe the reason for this is because it does not provide as many benefits as Kratom does. There are probably other herbal remedies that work just as well. When comparing the two, it appears that Javanica did not do as much to get rid of stress or reduce pain. Also, it didn’t seem to have the same amount of lasting power as Kratom. Right now, there are no answers for why this occurs. A lot of people think that this is because Kratom has over 40 alkaloids, and that this is what provides those wonderful benefits. It appears that since Javanica‘s natural structure is somewhat different, and this is what reduces its efficiency in comparison to Kratom. Also, it does not contain ajmalicine like Kratom does. Ajmalicine is what is believed to give Kratom its ability to relieve stress and reduce high blood pressure symptoms. Javanica does not have the ability to do these things. The main reason that most people in Southeast Asia still use Javanica is because it is legal. Kratom was banned in Thailand back in 1943. As a result, it’s illegal to plant the Kratom tree, which means that it is also illegal to sell or consume anything that it produces. In modern times, not too many people enforce this law because it is deemed unreasonable. But, because there are still some pretty harsh penalties associated with Kratom, many are still looking for viable Kratom alternatives. 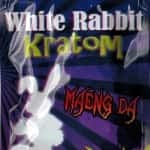 There isn’t another option that grows wild like Kratom does. But, then again, Kratom is still easy to get. Also, it is safe, legal and cheap. Why Use Kratom Substitutes when you can get the Real Thing? Since Kratom works and it is legal in most countries around the world, why would anyone want to experiment with lesser known substances? This is especially questionable since many of them do not provide the same benefits as Kratom. 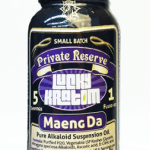 It is easy to find a lot of Kratom products online. It does not matter where in the world that you live. Go to websites such as Quick Kratom. They are trusted websites that sell quality Kratom powders, extracts and liquids that come directly from Southeast Asia. Since these companies are located in the United States, you don’t have to worry about import, custom or shipping problems. If it was not possible to get Kratom in an easy and quick manner, we probably would tell you to get a similar plant such as Mitragyna Javanica instead. But, as it stands, it really does not make sense to get something that does not provide the same amount of benefits if it is a weaker choice.